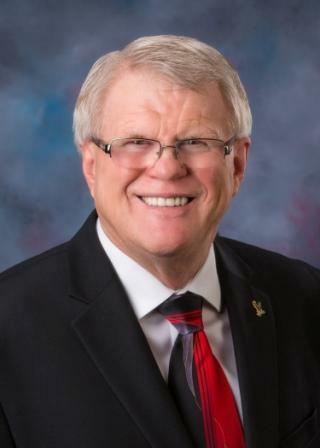 Mon., Nov. 20, 2017, 11:44 a.m.
Second-term Idaho state Rep. Don Cheatham, R-Post Falls, announced today that he’ll run for the open Senate seat in his district that’s being vacated by current Sen. Bob Nonini’s run for lieutenant governor in 2018. This year, Cheatham proposed two bills that became law, both involving guns. The first, HB 93, allowed active military members to carry concealed handguns within Idaho city limits, even if they’re not Idaho residents. The second measure allowed concealed weapon permits to serve as an acceptable form of ID for voters at the polls. Both bills passed by strong margins. Cheatham also co-sponsored legislation this year to allow $90 million in bonds to be issued for construction of major cybersecurity and super-computer research facilities at the Idaho National Laboratory. Cheatham, who joined the House Education Committee this year, said his background working for the Department of Homeland Security along with his admiration for how INL partners with Idaho’s universities spurred his interest in that project. Cheatham moved to North Idaho in 2012 after retiring from a career in law enforcement and homeland security, including 25 years with the Los Angeles Police Department, from which he retired as a supervisory detective. After retiring from the LAPD, he worked in security for eight years for the Bank of America, and then worked for the U.S. Department of Homeland Security in Washington, D.C. for eight years before retiring to North Idaho. An Air Force veteran, he holds a bachelor's degree in criminal justice. Cheatham first won office in 2014 after winning a three-way GOP primary for an open seat that had previously been held by the late Rep. Frank Henderson, R-Post Falls. He was unopposed in the general election in the heavily GOP District 3. In 2016, Cheatham narrowly turned back a challenge from local business owner Peter Riggs, son of former state senator and Lt. Gov. Jack Riggs, 50.9 percent to 49.1; he then was, again, unopposed in the general election. Cheatham said with both Nonini and longtime Sen. Shawn Keough, R-Sandpoint, leaving the Senate in 2018, he wants to make sure North Idaho continues to have strong representation there. He lists his priorities as education, veterans’ issues, reducing rules and regulations and promoting job growth. Cheatham said if he wins the Senate seat, he hopes to join the Senate Education Committee, where Nonini, a former House Education Committee chairman, now serves. In addition to the House Education Committee, Cheatham currently serves on the Environment, Energy and Technology Committee and the Judiciary, Rules and Administration Committee in the House.